Sorry to have gone MIA on ya…i just really needed some time to myself. Time to reflect and re-define who I am and what I want in this lifetime. Time to re-assess my relationship with avocados. And what better way to internalize the value of the avocado than to eat one. The placement of the eggs next to the green goddess of vegetables would have been just fine if the egg was wet inside and ready to get all entangled in the avocado atop the bread. However, the egg was left alone in the pot for a little too long because that yolk dried up quickly. Too hard to smear, it crumbled and did not make for an easy shmear as I was anticipating. Regardless, avocados are so agreeable, it went with the flow and flirted with the chicken’s gift anyways. Making sure to get a little scoop of everything before poking into the slightly burnt bread — I’d prefer it burnt over soggy, just sayin’ — the mixed mound made its way to my lips and passed through with no hesitation. What hit the tongue revealed that life is still full of surprises. 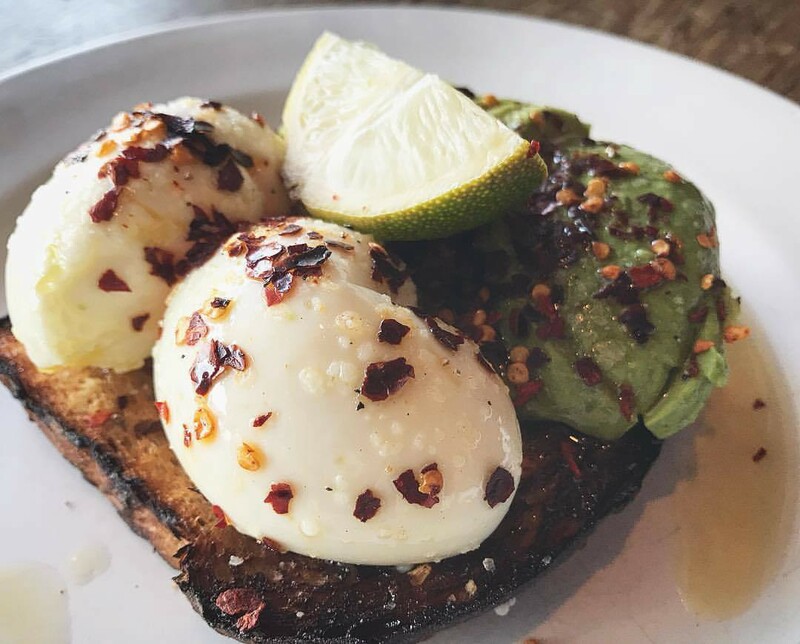 The crunch of the bread, grasping the creaminess of the avocado and egg, tumbled around my mouth, sending little tickling jolts of delight with every hint of lime and flake of pepper. Panting slightly from the spiciness of the red flake, I tossed my head back in indulgence. Avocado toast is a classic, but this one was special. It was the only avocado toast I wanted in that moment.